Most of us beyond a certain age photographed years of family moments and vacations using simple point-and-shoot film cameras. We stored the prints and negatives in albums or boxes. But when was the last time you looked at them? We all shoot digital now. We look at our photos on screens and store them on phones, SD cards, and hard drives. Because you can’t share a physical photograph on Facebook, our photo albums get very little love or attention. To bring those memories into the modern age means making digital images of them. You have two options: pay someone to do it for you or do it yourself. If you pay to have it done you’ll get the best possible quality, but the expense might make you wince. For less money you can buy a flatbed scanner that handles negatives and do it yourself. But it’s slow work and there are lots of settings to master. And few scanners take the old 126 and 110 snapshot film formats that were popular in the 1970s and 1980s. What’s needed is a way to do the job fast with minimal fuss and at reasonable cost. Few options exist. That’s why I’d even consider a flimsy-looking toy-plastic device like the Wolverine Super F2D film-to-digital converter. It promises to deliver on all of those goals, quickly creating JPEGs from color and black-and-white 35mm, 110, and 126 negatives – and 2×2-mount slides in those formats, and Super 8 movie frames. At about $100, the price isn’t bad. I got mine for even less on sale. But there’s a big tradeoff: you won’t get professional-quality work from the Super F2D. And you will need to touch the images up in photo-editing software – but, to be fair, you would need to do that after using a flatbed scanner, too. But the Super F2D will give you images good enough to view on your screen and to share online. You could even make prints of them, but they will be too noisy for big enlargements. But I’m not sure I care about those limitations for my old snapshots. I converted about 1,000 images in under six hours. Then I spent about 10 hours touching up every image in Photoshop Elements. And now I have digital images of all of my old negatives. That’s faster than I could have done it with my flatbed scanner, and hundreds of dollars less expensive than paying to have it done. And I’ve already shared some of my images on Facebook, and they look pretty good. That’s the guts of the review. But more good information follows, including insight into using the Super F2D and examples of my scans. Here is a set of links to each of those sections so you can skip to what you care about. I used some recent downtime to digitize every old 126, 110, and 35mm negative I have. (If you have negatives or slides from even older films, such as 127, 620, or 828, you’re out of luck.) I did it in my lap while lying on the couch; the Super F2D is small and entirely self-contained. I plugged it into the wall, but you can also plug it into any powered USB port. It has some internal memory, but it also has an SD-card slot. I put an SD card in and went to town. The Super F2D isn’t a scanner, but rather a digital camera and a light table. It lights up your negatives and slides from below and photographs them from above. It is as inexpensively made as it looks: the plastic is thin and cheap, and the buttons and connectors feel flimsy. Using the Super F2D is simple once you get the hang of it. You slide the negatives and slides through the sleeve in the middle of the unit. You line up each image on the screen until it looks right, and then capture and save the image. This video tells all. Pushing negatives through was easy enough except when a negative was cut shorter than the sleeve. I usually used a second negative to push the first one through. There’s a separate sleeve for slides, which are a snug fit in the sleeve. A second slide is always necessary to push the first one through. 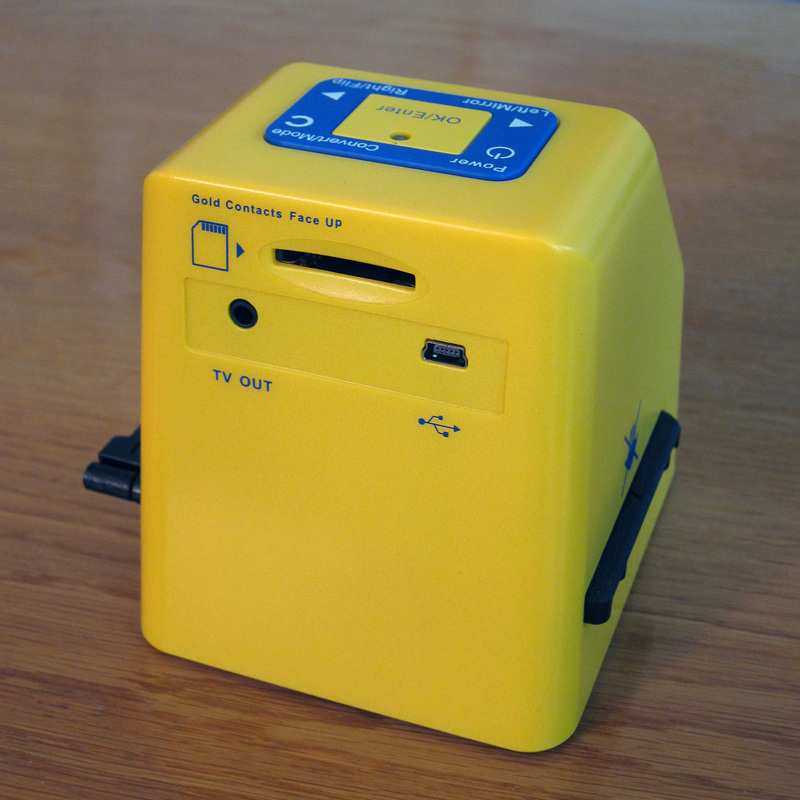 To get out the last slide you scan, you have to remove the sleeve from the Super F2D and pull it open (it is hinged). The sleeve is hard to open. The screen is good only for framing images, as it doesn’t accurately render color and the corners are a little washed out. The Super F2D does offer basic color and exposure correction tools, but given the screen’s limitations I decided just to do all of that in Photoshop. The Super F2D offers no dust and scratch removal, so be sure to clean your negatives well. I used a soft cloth to wipe dust off my negatives. Dust creeps inside the Super F2D, too, and so I frequently cleaned it off the light table with the supplied brush. You’ll see most of these imperfections on the screen. The Super F2D boasts 20-megapixel resolution. It’s overkill, because its puny image sensor returns noisy images. The noise is acceptable when you look at the images at smaller resolutions but shows up bigtime at maximum resolution. You probably don’t want to print big enlargements from these images. Also, the Super F2D’s field of view leaves out a little bit around edges of your negatives. You can slide each negative left and right inside the Super F2D for best framing, but there’s nothing you can do about what the Super F2D cuts off at the top and bottom. The effect is minimal on 35mm negatives, noticeable on 110 negatives, and pronounced on 126 negatives. You will need some sort of photo-editing software to touch up these images after you convert them. All of my images had a green caste that ranged from slight to substantial. 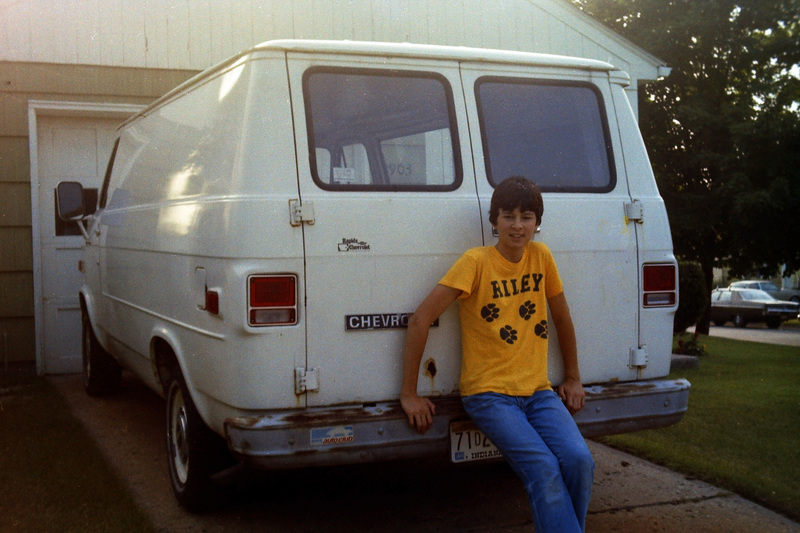 My oldest negatives, from the mid-1970s, suffered worst. You will also want to fix the scratches and dust that escape your cleaning. I have Photoshop Elements. Its Auto Color Correction and Auto Levels commands corrected almost all of my images’ color-fidelity ills, and its Spot Healing brush did a great job of quickly removing marks. I applied these corrections to all of the images I’m going to show you from the Super F2D. I’ve uploaded all of the images at full resolution; click them to see them at full size. The Super F2D makes 4000-pixel-square images from 126 negatives. That resolution is beyond the sharpness that most 126 cameras could deliver, especially the junky one I had. But the Super F2D and a little subsequent Photoshoppery yielded usable images. 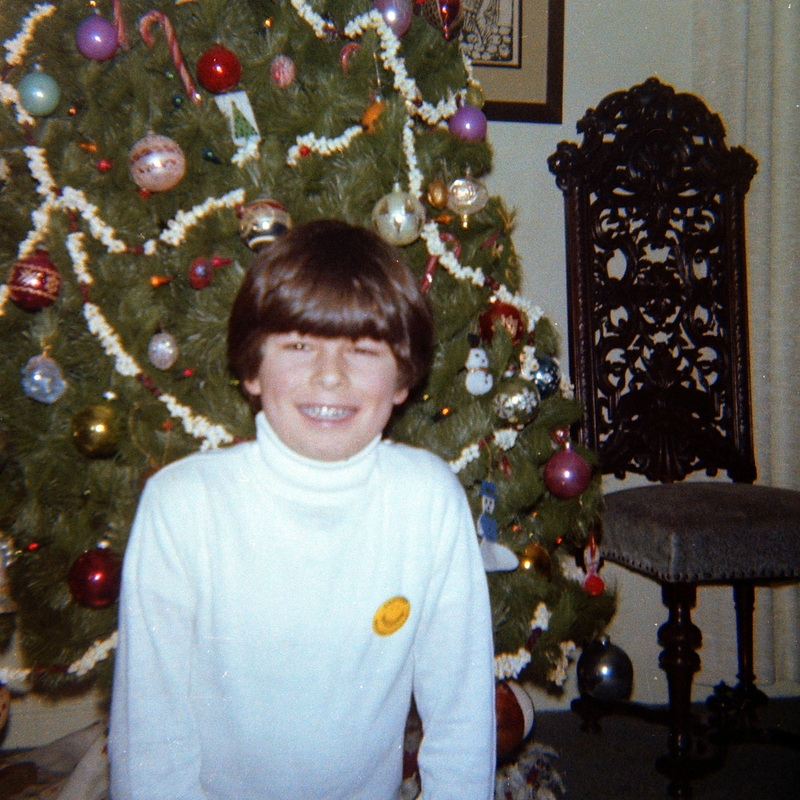 Here’s me in front of the family Christmas tree in 1977. The circa 1978 print of this image shows my whole head, but the Super F2D masks too much of the negative and cuts my head off. Pity the poor 110 format for the so-so image quality inherent in such an itty-bitty negative. It did not help that most 110 cameras were inexpensively made with low-quality optics. Surprisingly, the Super F2D scans these negatives at a whopping 5120×3840 pixels. When viewed at maximum resolution, these images look like a mosaic. They’re still visibly noisy at smaller sizes. I used a cheap 110 camera to record one of the best times of my life: a trip to Germany in 1984. I was happy enough with the images the Super F2D made from those negatives. The colors were good, even though the sharpness wasn’t. 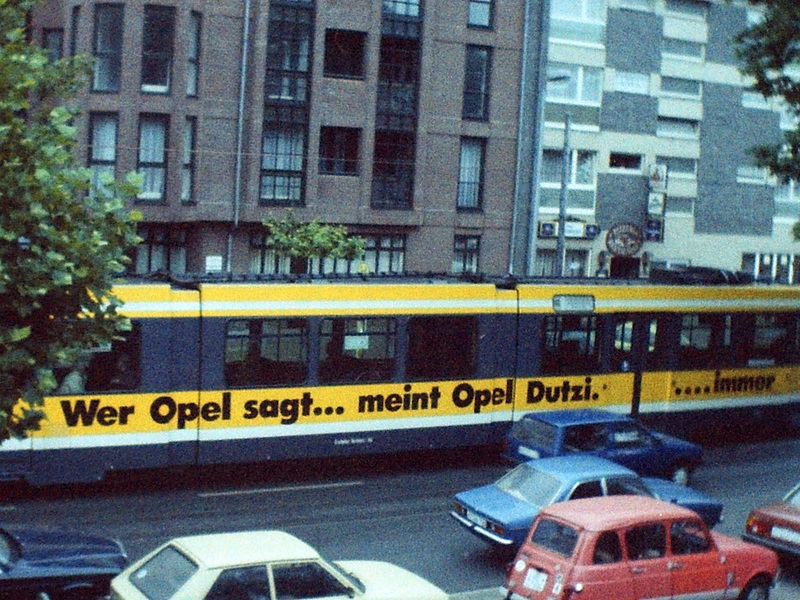 Here’s a streetcar in Krefeld. 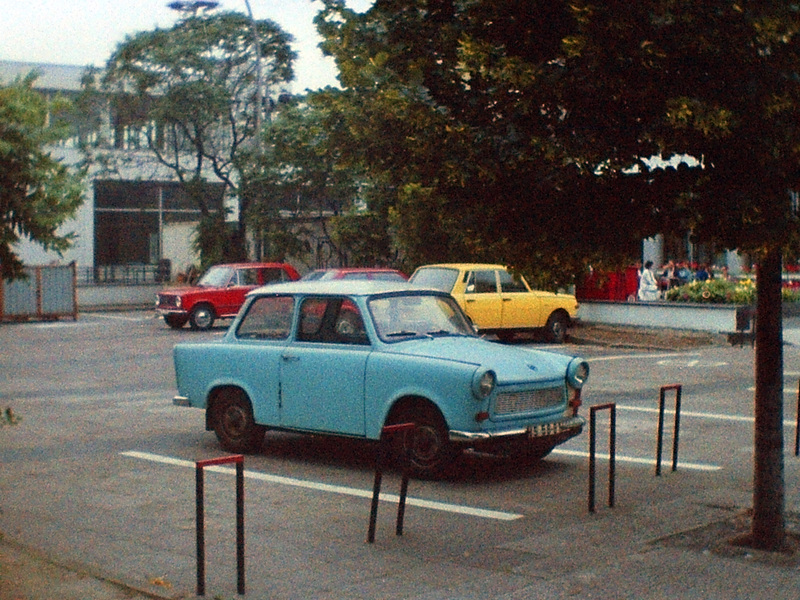 And here’s a tiny Trabant automobile in East Berlin. Shadow detail is very poor and noise is high, but it is the same on my original prints. 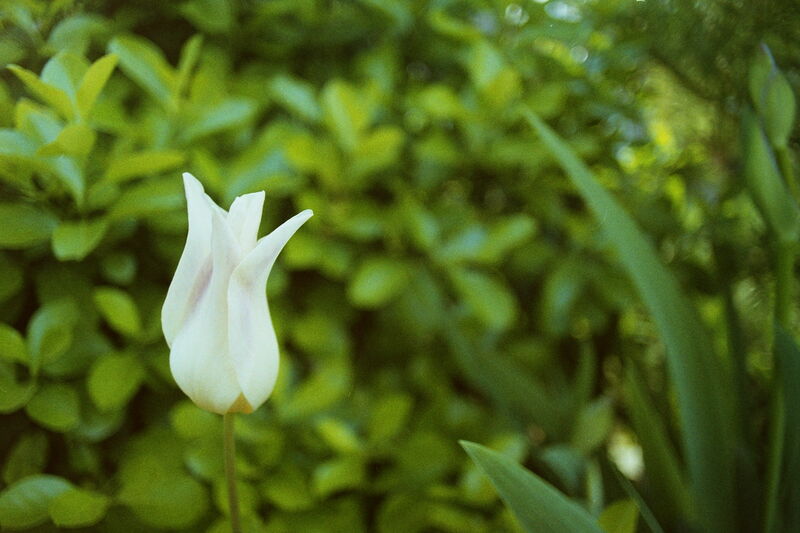 The Super F2D returned much better results from my 35mm negatives. I didn’t shoot much 35mm until the late 1980s, by which time advances in film technology produced negative films that simply scan better, at least in my experience. But I also had a better camera than ever before. It was a modest point-and-shoot 35mm camera, but it offered a better lens than any average 126 or 110 camera. The 5472×3648 images the Super F2D creates from these negatives are still too noisy for big enlargements. 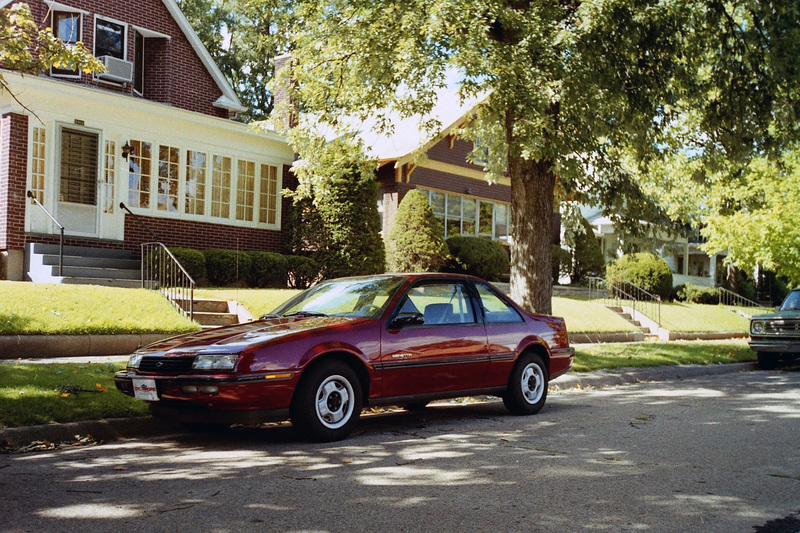 Here’s my car parked outside the house I lived in after I graduated college in 1989. Detail and color are much improved and noise is somewhat reduced compared to my 126 and 110 images. 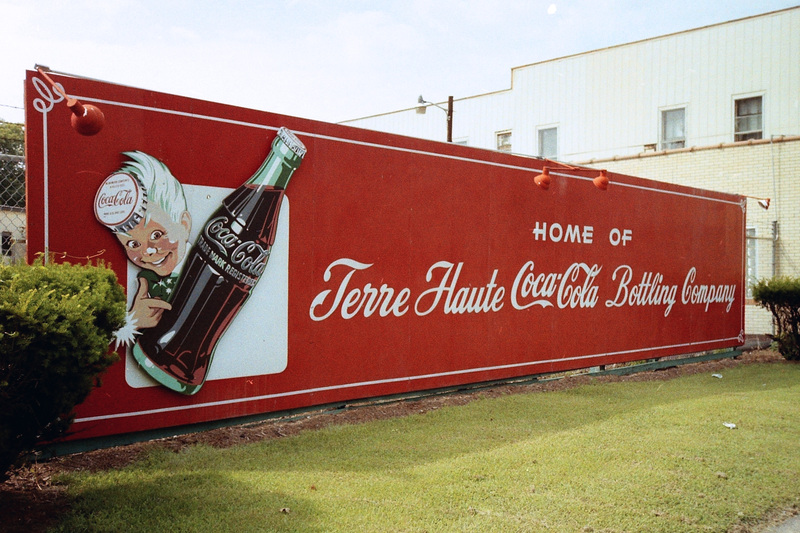 I lived around the corner from Terre Haute’s Coca-Cola bottler. A quick hit of Auto Color Correction in Photoshop Elements really brought out the red in the sign. The Super F2D’s black-and-white mode seems to do better work than its color mode, at least for the few black-and-white negatives I have. They needed very little touchup to look good. 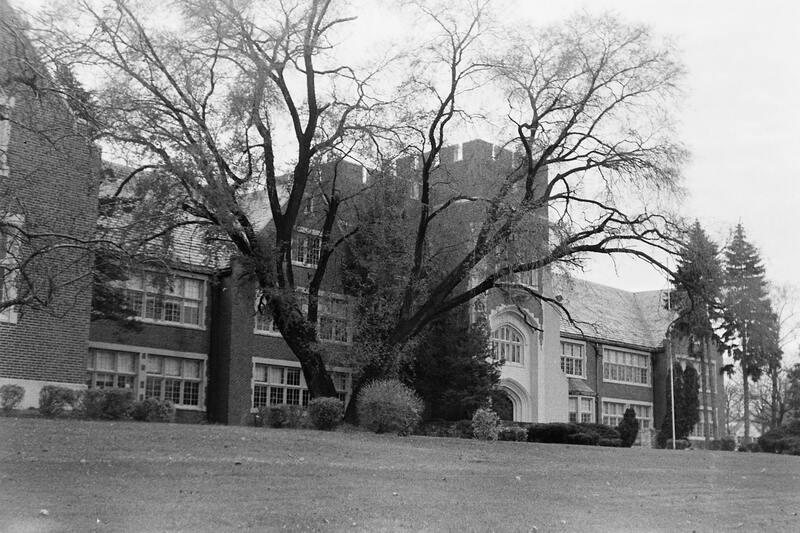 Here’s a 1984 photo of the elementary school I attended. I never shot slide film in my youth. But I wanted to see how the Super F2D handled slides, so I bought some old Kodachromes on eBay. I didn’t buy any old Super 8 movies, though, so you’re on your own there. The Super F2D scans slides at the same resolutions as the corresponding 35mm, 110, and 126 negatives. Here’s one of those slides. (You can see the rest in this post.) I think the Super F2D did its best work on these slides. They needed very little touchup in Photoshop and they are less noisy than any of my negative scans. The Super F2D isn’t as capable as a flatbed negative scanner, and is absolutely, utterly blown away by the bigtime pro scanners that most film processors use. 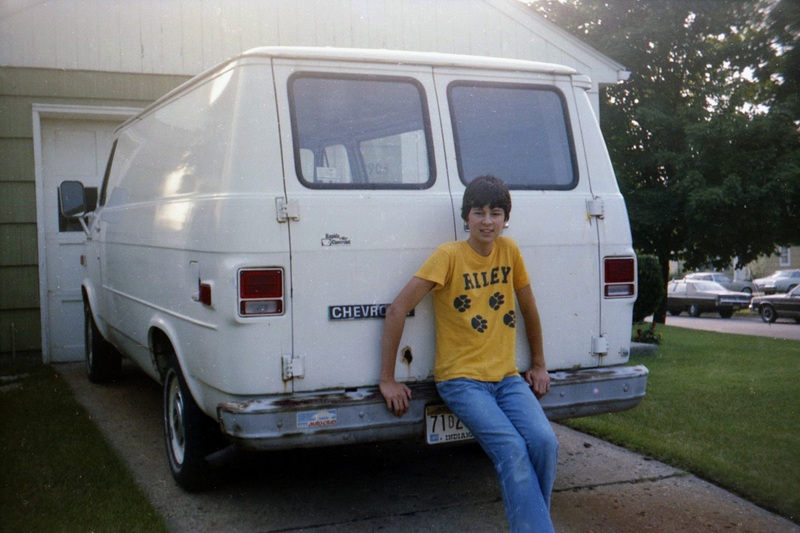 I used my Epson V300 flatbed scanner to digitize this image of me taken with my Argus A-Four camera in about 1982. The Super F2D also does a decent job, although it scans less of the negative than my Epson V300 and returns more saturated colors. It’s a matter of personal preference whether you like the V300 scan or the Super F2D conversion. Where the Super F2D falls down, though, is noise. It shows up at larger resolutions; click the images to compare them full sized. 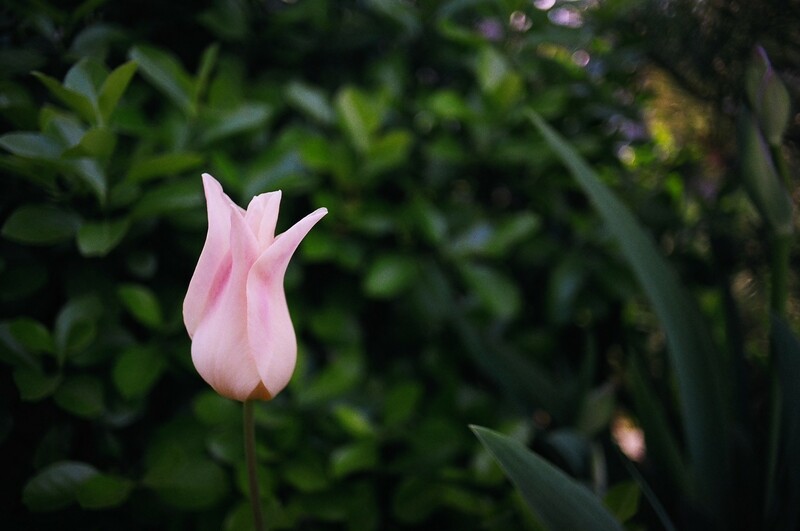 I took the image below a couple years ago on Fujicolor 200 using my Pentax KM and its 55mm f/1.8 SMC Pentax lens. I really enjoy this shot for its color and its sensitive exposure. I’m pretty sure I had The Darkroom process and scan the film. The Super F2D fell flat on its face rendering this negative. No amount of Photoshop trickery could save it. I deliberately chose it as a worst case, but none of the images the Super F2D converted from this roll of film could compare to the scans The Darkroom did with its big scanner. If you want to digitize any images you might use more than casually, or that you took with high-quality equipment, you won’t be happy with the Wolverine Super F2D. 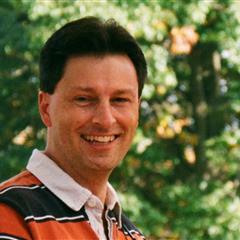 The resulting digital images are simply too noisy, and sometimes Photoshop won’t be able to restore accurate color and exposure. I’d never use it to digitize the more artistic images I shoot with my good film cameras today, as I can get cleaner scans from my flatbed scanner and outstanding scans from the companies that process my film. Old snapshot negatives are the Super F2D’s sweet spot. It will always give you a usable image, and it will frequently give you a plenty good image. Given the Super F2D’s cost, speed, and flexibility, that’s more than a fair tradeoff. I’m glad I bought mine. 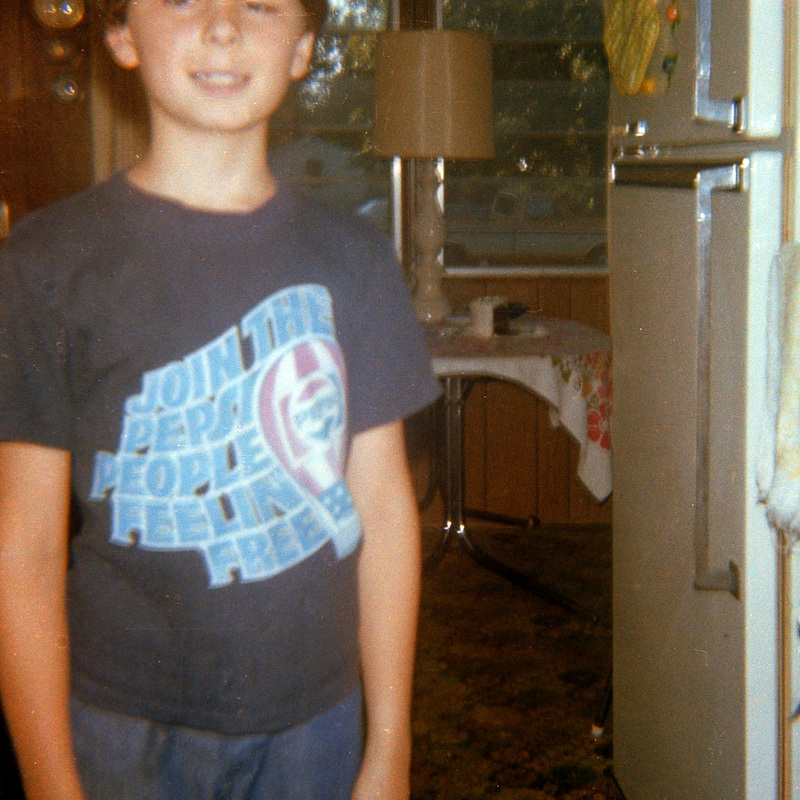 And now I have plenty of memories that I can e-mail to my mom and post on Facebook. Looks like this would work for most of what anyone would do a scan for. I know that almost all the images I make these days end up be shared on the internet. I don’t need a fine art quality scan for that. I’m not sure I’d use this to scan the stuff I shoot today with my good cameras. I’ll stick with my Epson V300 flatbed. It does more nuanced work than the Wolverine and, when scanning one roll at a time, isn’t prohibitively slow. The Wolverine’s sweet spot really is quickly making usable images out of a boatload of negatives. Photo shop is a must tor restoring and repairing old slides. step 2 duplicate the layer. Step 3 multiply or overlay the top layer. Trial and error to find the best results. Sometimes if it really week and under exposed you may need to add several layers. Flatten layers. step 5 image-adjust-levels this can enhance the image. Ste[ 7 use the healing brush or if your version does not have it use the clone stamp to remove spits or blemishes. I do a lot of aircraft image and the sky back ground may be a gray with no color in that case I have several sky image saved and I add one of these as new background and remove the old sky.In some cases the results can be striking. in some cases the best results is to delete the file. The other comment is the time to develop a system of folders and naming protocol. Digitizing old slide is a must and well worth it. 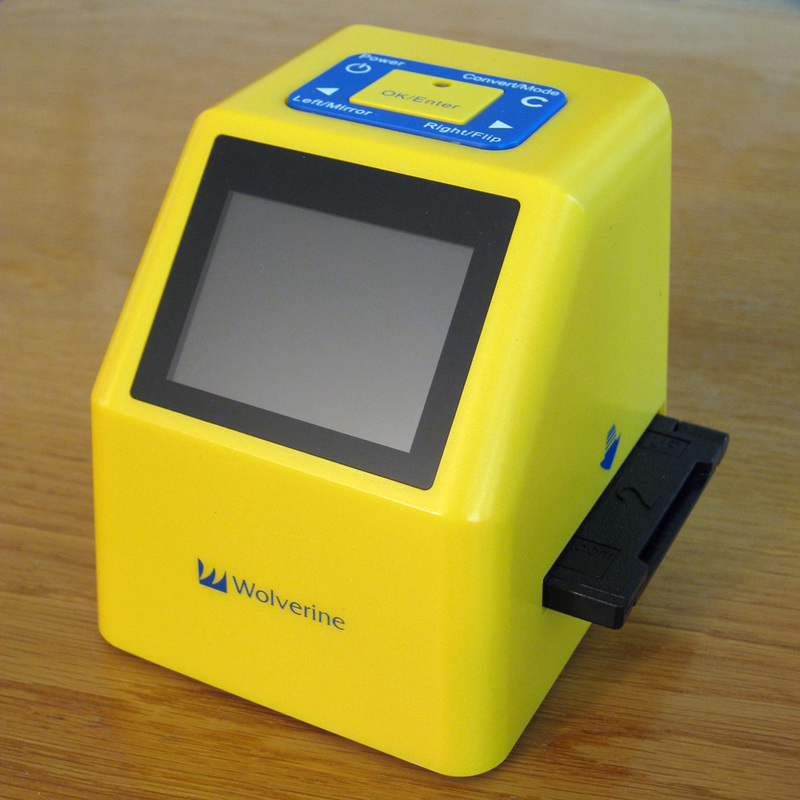 I have used an old slide scanner and time to process the image takes minutes and it take seconds with the wolverine. Overall it is a great machine at a great price. Yes, those are some strong steps, and I follow most of them on every one of my scanned images. Thank you so much for this very thorough and informative review, Jim! I’ve also been trying to decide what to do about my old negatives and had been wondering how well these little devices work. I’m actually pleasantly surprised, based on your results. I think I’ll pick one up for those quality-isn’t-critical snapshots. Thank you! I’ve seen several different devices along this line and this is the one that seemed to get the best purchaser reviews. I hovered over a Buy button several different times but finally clicked it when I got it at about 20% off. It was a gamble, but I think it paid off. These images are good enough for what I want to use them for. I bought this from B&H Photo’s Web site; they had it on sale. You can get it at Amazon,too. Wow, was that interesting. If I ever find time to do such an undertaking, at least, now I have an idea of how. I have massive amounts of old negatives and photos to work with. Thanks. I’m with you here. Flatbed for good scans, pro scanner if I win the lottery, and all the rest with a similar macro digicam-with-backlight. Mine is the Reflecta X7 scan, similar pricing, 14 megapixels only but less noise than what I see here. Does a good job for my black and white. 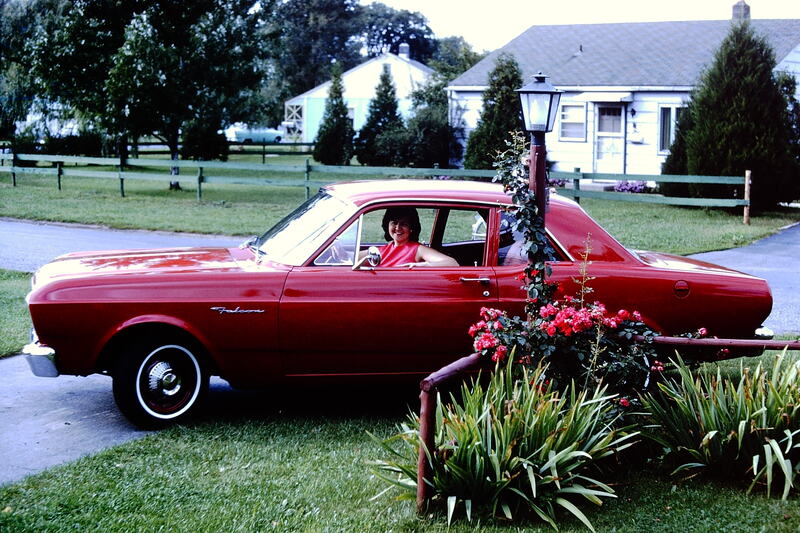 Does a terrible job for color rendition from color negatives (almost desaturated, muted colors). But I do shoot more B/W than color so I’m happy with it. I looked up the Reflecta X7 and it looks like a very similar device. Like I pointed out in the review, cost, speed of scanning, and “good enough” output is the sweet spot of these kinds of devices.